Geology Walk with earth science specialist Chris Weld. Sedona’s legendary red rocks evolved over millions of years, as wind and water shaped and sculpted the land. View the dramatic effects of Oak Creek Canyon faulting and examine sedimentary, volcanic and erosional land features. 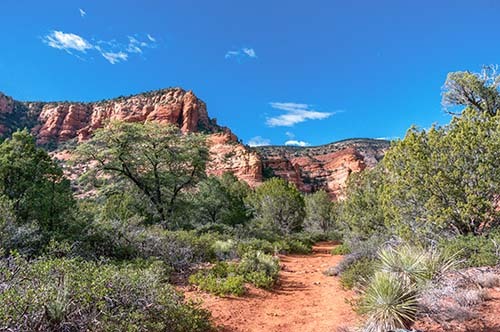 Discover more of Sedona’s geologic story through this two-hour moderate hiking adventure.